Our planet is garrisoned by a network of around 1,100 bases operated by the U.S. military. Many of these sites exist in shadow because they are used for paramilitary operations by Special Forces and the CIA. These bases range in size and location, but a recent and favoured strategy of the U.S. military has been to construct skeletal “lily pads” that are scattered in remote outposts across the globe. Chalmers Johnson, author of the book Blowback, wrote back in 2004 that “[t]his vast network of American bases on every continent except Antarctica actually constitutes a new form of empire – an empire of bases with its own geography not likely to be taught in any high school geography class”. Of course, neither would the cost of maintaining this “Baseworld” make it to print: billions and billions of dollars spent on everything from air conditioning to internet cafes. While this Baseworld – which counts Guantanamo Bay as the jewel in its crown – is hardly new, the proliferation of remotely piloted aircraft certainly is. Everywhere and nowhere, drones have become sovereign tools of life and death, and are coming to a sky near you. The Droneworld is the evolution of Baseworld by other means. At the beginning of 2012, Secretary of State Leon Panetta announced a reduction in U.S. troop numbers by around 100,000 (despite military spending actually increasing). Boots on the ground are not disappearing of course, but they are being infiltrated by a Skynet of drones that can be operated from thousands of miles away by “pilots” sat in Nevada cubicles. The U.S. Department of Defense estimates that this drone army is staffed by an all-volunteer force of 7,500 robots, from hand-thrown Ravens to hulking great Global Hawks. While unmanned aerial vehicles are definitely not new technologies – their modern incarnation dates back to Vietnam – they have moved from the edges of U.S. national security strategy to its beating heart. In Panetta’s own words: “[a]s we reduce the overall defense budget, we will protect and in some cases increase our investments in special operations forces, new technologies like unmanned systems, space and in particular cyberspace capabilities and in the capacity to quickly mobilize”. Welcome, it seems, to our science-fiction present. There are approximately 60 bases across the globe integral to drone operations: from the island archipelago of the Seychelles to Arba Minch airfield in Ethiopia. A vast swath of the Arabian Peninsula and the Horn of Africa is now alive with the buzz of Reapers in the sky, targeting al-Qaeda linked militants in Somalia and Yemen. In Djibouti, for example, drones are flown from Camp Lenonier to target members of al-Qaeda in the Arabian Peninsula (AQAP). Pakistan’s northwest flank has been bombarded by over 300 strikes since 2004, leading to the death of thousands of people. This is in addition to the drones flown in more “established” battlespaces such as Afghanistan and, formerly, Iraq. And then there’s also the curious case of that drone that went down in Iran. Elsewhere and thousands of miles away, the Pentagon is negotiating with the government of Australia to construct a drone base in the Cocos Islands. The Obama administration’s “Asia Pivot” – which political commentators believe is the result of looming “climate wars” – was baptized earlier this year when Hellfire missiles were launched against suspected Abu Sayyaf members in the Philippines. There was sketchy reporting on the incident. A recent New York Times article, however, led to far more of a media frenzy. Entitled “Secret ‘Kill List’ Proves a Test of Obama’s Principles and Will”, the Times’ story detailed how the President, along with John Brennan, a fierce ex-CIA veteran, personally approves of the “high value targets” that circulate every Tuesday in a counterterrorism meeting of two dozen security officials in the White House Situation Room. Perhaps it was in the same office that Barack Obama – “a student of writings on war by Augustine and Thomas Aquinas” – ordered the death of a man thousands of miles away in a country that the U.S. was not at war with. On 20 September 2011, a senior member of al-Qaeda was killed in Yemen by a covert U.S. drone strike. His name was Anwar al-Awlaki, a charismatic cleric, and the chief lieutenant for al-Qaeda propaganda. But there was something unbearably intimate about his death – such that even the 2012 Republican Presidential candidate Ron Paul called for Obama’s possible impeachment. Awlaki was American; born in 1971 with degrees from Colorado and San Diego. The ACLU responded that “[t]he targeted killing program violates both U.S. and international law. As we’ve seen today, this is a program under which American citizens far from any battlefield can be executed by their own government without judicial process, and on the basis of standards and evidence that are kept secret not just from the public but from the courts”. But there’s no need to cross oceans and mountains to find evidence of the Droneworld. Soon it will be in your backyard. In the U.S., Customs and Border Patrol have used a fleet of Predators since 2004 to very limited effect. Yet the passage of recent Federal Aviation Association legislation has further opened up America’s skies to drones. A map of domestic drone sites in the U.S. can be found here: it was created from FAA Certificate of Authorizations (COAs). The individuals and institutions applying for licenses include journalists, police forces, universities, and the armed forces. As of May 2012, there were over 60 unique separate sites, 300 active COAs, and between 700 and 750 COAs since the program began in 2006. The FAA estimates that there could be some 30,000 drones in U.S. skies by 2020. A massive “51st state” for drones is being planned in the south-east tip of Colorado. Under the military’s plan, 7 million acres of land over Colorado and New Mexico would be taken from ranchers and used for Special Forces testing and training of UAVs. There are many critiques levelled at Droneworld: the most prominent is that many of the strikes, especially the CIA’s, are illegal under international law. International Humanitarian Law (IHL), also known as the Laws of War, is a relatively recent construction. The broad aim of IHL is to govern the relations between states, combatants, and civilians. Additionally, the Charter of the U.N. is responsible for adjudicating if a state is permitted to go to war. The Obama administration argues that its drone wars conform to the U.N. Charter as an act of “self-defense”. But the extent to which the threat the U.S. faces is “immanent” remains fiercely debated. 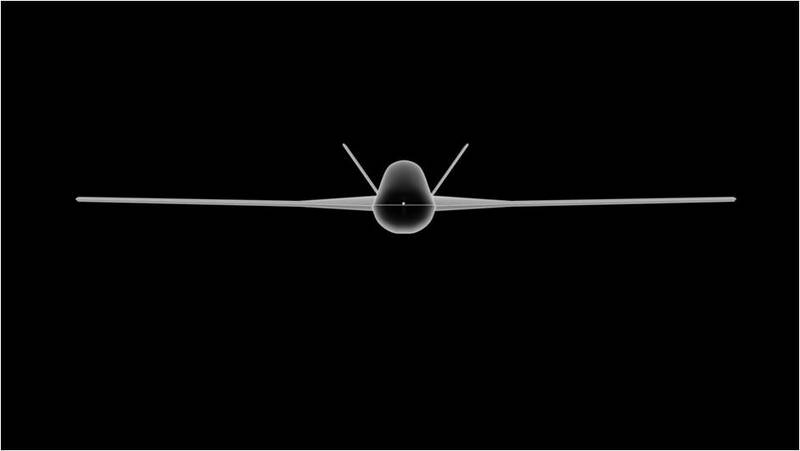 U.S. drones actually fall under the jurisdiction of two distinct legal bodies: the regular military, and the CIA, each of which have unique legal guidelines. “…Mr. Obama embraced a disputed method for counting civilian casualties that did little to box him in. 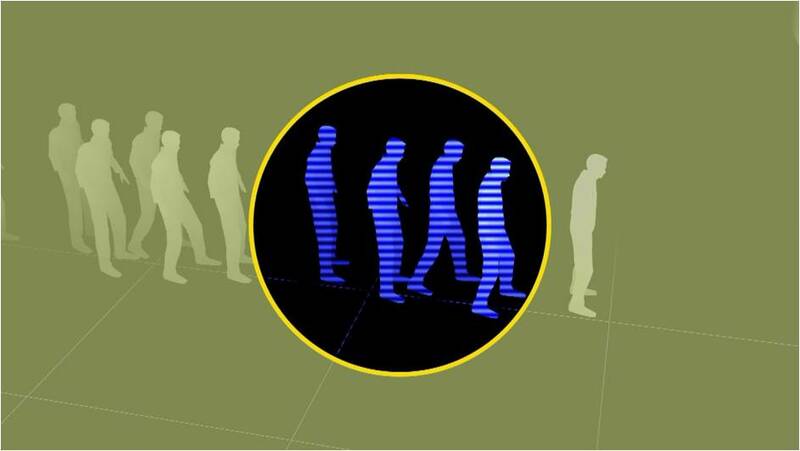 It in effect counts all military-age males in a strike zone as combatants, according to several administration officials, unless there is explicit intelligence posthumously proving them innocent”. What I find fundamentally troubling about Droneworld is not simply its (il)legality however. The Obama administration can – and does – appeal to rules of law to justify faraway violence. This in itself is a troubling finding, and at the very least suggests the “flexibility” (or utility) of law. Nor is the geographic extent of Droneworld my single concern, despite the reach of military bases across the globe. Derek Gregory has elsewhere put forward the provocative concept of the “everywhere war” as a way of capturing the expansion of paramilitary violence in the planet’s shadowy borderlands, including the tribal areas of Pakistan. For me, however, what is truly provocative about Droneworld is the method that violence is now waged by the Executive Branch of the U.S. government: a diffuse “dronification of the political”, where the conduct of targeted killings is defined by its bureaucratic and managerial style; where soldiers are replaced by civilians, analysts, and targeters; where politicians in Situation Rooms replace Generals (recall the Times’ article); where war is no longer declared and has no foreseeable end; and where war and not-war bleed together. The dronification of the political is a profound concern of our times, since it augurs a condition that is starting to strangle the most banal spaces of everyday life. 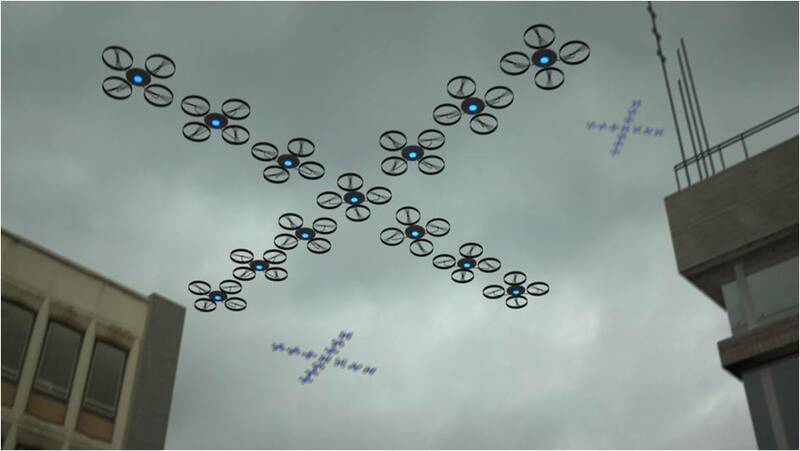 Within a generation, it is likely that drones will be used routinely by the police; will cooperate with each other in intelligent “swarms”; and will be used by “non-state actors” in the same catastrophic ways they are currently used by state actors. As well as documenting and analyzing the geographic unevenness and effects of this condition, attention needs to be directed towards the unyielding logic of this brave new Droneworld: a managerial Hellfire. Illustrations provided by John Butler of Butler Brothers. © Butler Brothers 2010. Watch his video, ‘The Ethical Governor’, on YouTube. For more on drone warfare, my article ‘The Unbearable Humanness of Drone Warfare in FATA, Pakistan’, co-authored with Majed Akhter, was recently published in Antipode 44(4). It’s available here, and you can see Majed and I talking about it here. 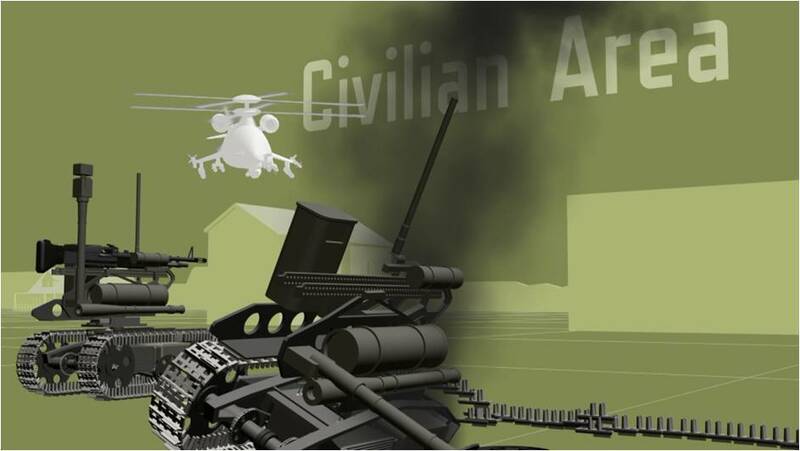 This entry was posted on 14 August 2012 by Antipode Editorial Office in Interventions and tagged Afghanistan, American empire, anti-terrorism legislation, Asia Pivot, baseworld, battlespace, CIA, civilians and combatants, defense spending, Derek Gregory, drone strikes, drone warfare, drones, droneworld, everywhere war, Ian Shaw, imperialism, International Humanitarian Law, Iran, Iraq, Laws of War, militarization, military bases, Pakistan, targeted killing, targeting, UAVs, unmanned aerial vehicles, US military, war, war on terror, warfare.